What exists at the heart of every DJ / Producer Duo? Friendship. 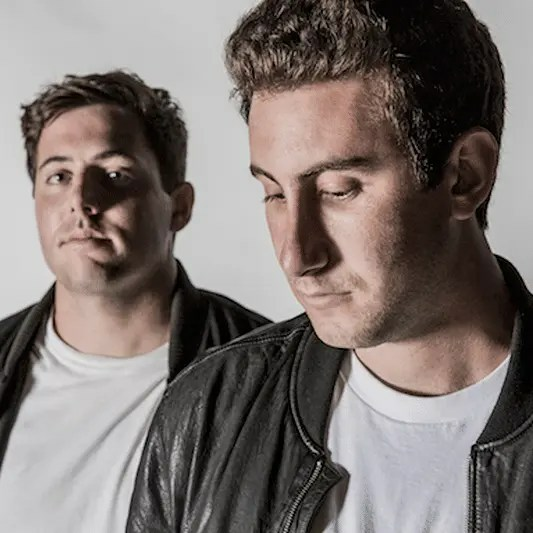 The artists known as Two Friends have been producing music for some time now but before Matt Halper and Eli Sones decided to make music they started out as a couple of friends living a normal life in high school. Since then, they’ve created multiple #1 hits on Hype Machine, generated millions of plays on Spotify / SoundCloud and continue to sell out shows across the world. “As our musical sights and sounds have changed, you guys have been with us every step of the way.” Their latest EP announcement pays tribute to their fans and to the artists and collaborators that have inspired them to move past their comfort zones—to create music without boundaries. 2016 was a huge year for you guys. Your Spotify and SoundCloud views topped at over 35 million plays with multiple #1 hits on Hype Machine. What can fans expect from your music in 2017? I think whenever we set goals for the future, it always basically comes down to Two Friends taken to the next level. Starting things off with the Out Of Love EP, and then even more original music, definitely some more remixes, our Out Of Love tour, and much more. 2016 was such an awesome year for us, and the beginning of 2017 has already been amazing, so we just hope to capitalize on the momentum and keep working our asses off to put us in the best possible position for success. We cannot wait for what the rest of the years holds in store- gonna be a fun ride. Your EP is releasing very soon. Your latest Facebook video gives us a glympse into the production and time devoted to these songs. For those unfamiliar, what roles do each of you play in producing your music? Do you both play different instruments during production? We try to do as many things together as possible. Matt’s more of the production captain whereas Eli’s more the DJ/mix captain. Writing-wise, we both have certain strengths and I think they compliment each other really nicely a lot of times. In terms of instruments, Matt is a beast at guitar- we record guitar for the vast majority of our songs. Eli played clarinet in high school but that unfortunately has not manifested in any of our songs yet haha. And then for this EP we also got some awesome contributions from a saxophonist and a harmonicist who absolutely crush it. You guys are notable for releasing remixes often. Is there any plan to produce more Two Friends originals in 2017 or beyond? Yes, one thousand percent! After this EP we already have a few finished singles that we’ll put out, and then we’re constantly making progress on a ton of others as well. Some are very close and just doing the final touches on, some that we already wrote and now are just finding the perfect singers for, some that are just basic instrumental ideas. I’d say there are probably 3-ish ones right now that we are really spending a lot of time and energy on, and probably 15 in some stage or on the backburner. But definitely can expect a lot of original Two Friends music this year and beyond, we’ll say that much haha. With the release of your EP you guys really bring it back to your roots as two friends making music you love. Can you tell us how you guys became friends and how that eventually evolved into producing music? You both have a long list of collaborations and support from artists big and small including The Chainsmokers, Don Diablo and Tiesto. Who are you most excited to work with next? Oh man, that’s a tough question. There are so many people that would be dream collaborations, both producers and singers. We have some sessions coming up that should be really fun- we love working with people with all sorts of vibes and styles so that each collaboration is fresh and unique. Gonna be working with a rapper in the near future too, and we’re stoked about that specific project. Follow up: you both know what it’s like collaborating with artists. For those up and comers out there – what advice would you give them while they’re trying form connections? Give before you ask. Don’t constantly go around begging for favors. Give people a reason to want to help you and want to be part of your longer-term journey. You’ll see the results are much more beneficial for all involved. This next question comes from an anonymous Reddit user…He would like to know if “Emily” will be released as part of the EP? Emily is not gonna be on this EP but it’s looking like it’ll be the next single afterwards! Just put the finishing touches on that one this week. Your show in NYC is coming up on February 11th, 2017 at Terminal 5 with Matoma. What can fans expect from a typical Two Friends set while on tour? So stoked for the Terminal 5 show and to be playing with Matoma. New York City always shows us a lot of love, and this one will probably be the most fun one we’ve done there so far. You can expect a party. Of course a ton of Two Friends music, some fun bootlegs and edits, some surprises, and just some feel-good vibes. Food in NYC is a big deal. Any places you’re excited about checking out while in NYC? I’ve heard this new place Dö makes unreal cookie dough, been hoping to check that out haha. But we’re all ears for other recommendations, we love treating ourselves to delicious pre-show meals. Live streaming is becoming extremely popular with artists. Do you showcase your music and shows via Snapchat or Instagram? If so, where can fans find you? Yes! We’re theTwoFriends on Snapchat, and @twofriendsmusic on Instagram. Send us some snaps, let’s be friends!